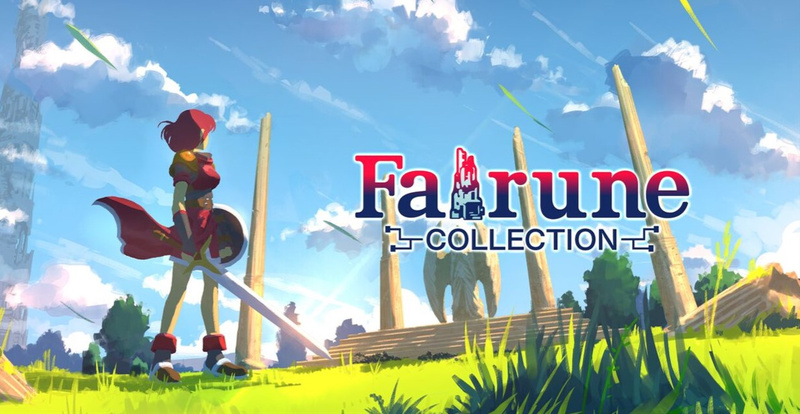 Following on from its initial announcement back in April, Flyhigh Works has now confirmed the Switch port of Fairune Collection is slated to arrive on the eShop on 17th May, with a price tag of $9.99/€9.99. In fact, we've been told that pre-orders are set to go live on 10th May, so you can pre-order and pre-load your copy, and nab a 10% discount while you're at it. Not bad eh? 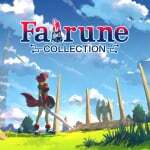 Fairune Collection includes four games in one package – Fairune, Fairune 2, Fairune Origin and Fairune Blast. The first two previously appeared on 3DS, while Origin and Blast are new titles that add an extra flavour to all that Zelda-esque exploration and combat. Looks great. I’ll have to check it out when it releases! Headline says 17th May, article says 17 June. I'm assuming the article is incorrect? Dom writing articles about Tom's games will never get old to me. It's like some Nintendo Life Inception stuff. @Dom So what is it, 17th May or 17th June? Flyhigh works is doing their thing with these Switch games. (I know they are the publishers and not the devs, but they know how to pick 'em.) Keep it up! Cannot wait! Even though I beat the first and hadn’t started the second on 3DS, that’s about to change real quick. I assume from your description of "Zelda-esque exploration" that you're not referring to Breath of the Wild. Great little games and well worth that price imo. Might get em again to check the two new titles out. I was just dying for some new 2D Zelda action, this looks like a buy. I played the first one on 3DS, it's a nice little gem. Didn't play the others though, so this may be something I'll get. Kind of been waiting to see if they would bring this to Switch. Nice that it is all the games. I will try it on the 3DS and see if I like it. Handhelds are nice if I am in the woods, but being able to play it on the TV is really what I want. Ten bucks for four games is not too bad at all, even if they are on the short side as far as I know. Hm, I might double-dip if the new content is worth it. I was worried this was going to be Fairune 1 & 2 and Kamiko. Pleased to see this has 3 games I've not got, I already have Fairune and Kamiko. It's a good price too, Fairune 2 is £5~ on 3DS. ...grr, fine. I'll double-dip, but mainly for Origins and Blast. I've already beaten the two main games on my 3DS. I enjoyed Kamiko, and I never had these on 3DS, so this is definitely happening. I appreciate the fair price point, given that Flyhigh could've charged twice as much and probably gotten away with it. Kamiko was great (at 2 bucks on the eShop you can't go wrong!) and I really enjoyed the first "Fairune" when I picked it up a few years ago on the 3DS. Since I never picked up "Fairune 2", this is a must-buy for me. Don't you just love when the cover photo looks nothing like the actual game? Cheap attempt to sell a game. Not bad for the price of four, but still. Have the first one on 3DS but haven't played yet. As it's short should give it a go soon. I remember really wanting these games a while ago on other systems but never took a bite. Maybe the Nintendo Switch will be the system to entice me. Back when I had/used my 3DS, and when I'd check out RPG's on the eShop, I would always look at these...but I never quite pulled the trigger, and I've regretted it. Now...I won't need to regret any longer! Four games for that price...even if they are short...is sounding pretty great to me. Going to get these asap, I think! I just played a little bit on the 3DS, this game is pretty fun. I will be buying it. It's not really Zelda-esque exploration and combat. It's more like a puzzle game disguised as an action-RPG. The point is to find items and solve puzzles to proceed. You can only attack enemies (by running into them) at your Level (taking unavoidable damage I think if it's the same Level, you can't be damaged or gain EXP from weaker enemies) or 1 above (taking more unavoidable damage). I believe above that you just die if you touch them. I'd need to know more about these games. I am not familiar with them at all. 4 games for 10 bucks ? Cant go wrong. I always see the great and promising looking cover artworks in the articles and then see the ugly ingame pixel graphics and have no interest anymore. I am done with all those NES-style games on Switch flooding the eShop. Would make a great physical colelction.